for $475,000 with 2 bedrooms and 2 full baths. This 1,848 square foot home was built in 2003 on a lot size of 8.81 Acre(s). 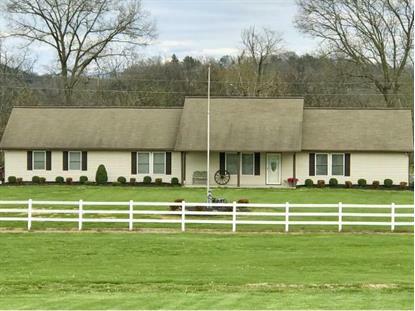 CREEKSIDE RANCH- Approximately 8.8 acres of manicured pastures and the backdrop of the Great Smoky Mountains and Appalachian Mountains make this horse property the perfect place to call home.This ranch is geographically located just off Highway 25E and just minutes to interstate 40 or interstate 81.Based on the tax cards this home has an estimated 4302 square feet under roof and that's including the one car attached garage. The main level of the home has approximately 1843 square feet with two large bedrooms two large bathrooms a very large living room and large kitchen. This house has a very open floor plan. 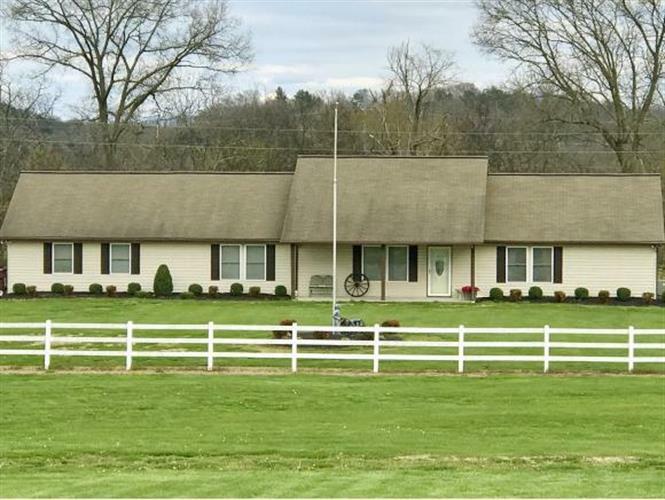 This ranch home is perfect for the family that wants to have a country casual living style. This home was custom built for the sellers and the basement has an additional 1843 square feet of unfinished open area. The basement has some rough in plumbing already installed for a third bathroom if desired. The main house has a natural gas tankless water heater, natural gas heat, a one car attached garage, a one car basement garage, solid surface countertops, double convection oven's in the kitchen, a large covered rear porch, and a large covered concrete patio. From the concrete patio and the covered porch there are beautiful views of the Great Smoky Mountains and the Appalachian Mountain Range. There are plenty of horse back riding opportunities in and around the area and especially in the mountains. Easy access to both interstates means fastest travel time to your destination.